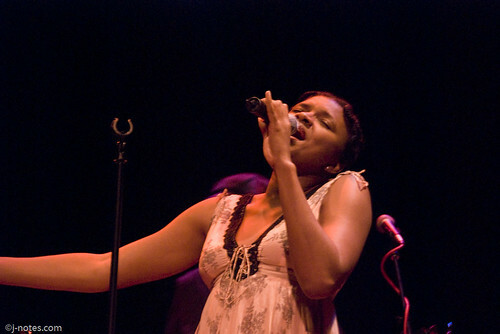 Vocalist/songwriter Lizz Wright is bringing her sweet music to the Bay Area. This entry was posted on Wednesday, August 19th, 2009 at 10:28 pm. It is filed under Lizz Wright, Monterey Jazz Festival, Yoshi's and tagged with Dizzy's Den, jazz, live music, Lizz Wright, Monterey Jazz Festival, Oakland, r&b, soul, Yoshi's. You can follow any responses to this entry through the RSS 2.0 feed.